The INFINIX HOT 4, lunched in August 2016 with a 5.5-Inch display is the latest Infinix hot flagship smartphone with a long lasting battery capacity, fingerprint sensor, dual SIM card support and also runs on the Android M operating system. 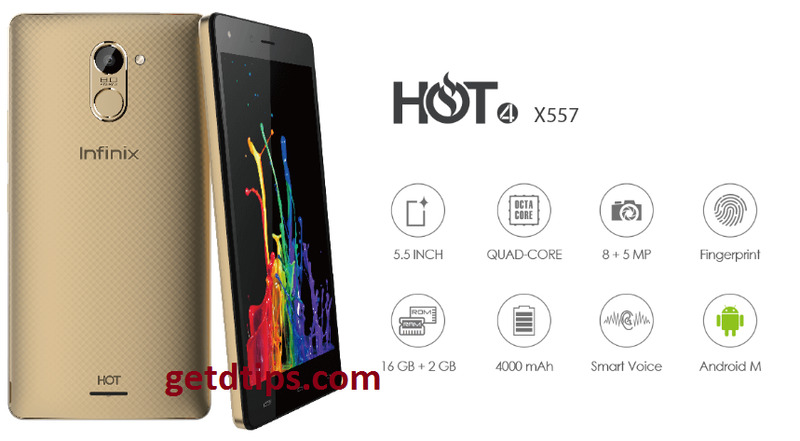 The device offers a good performance and an improved user experience powered with a 2GB ram and and octa-core processor. A detailed review shows that the device has good advantages but lacks 4G network.